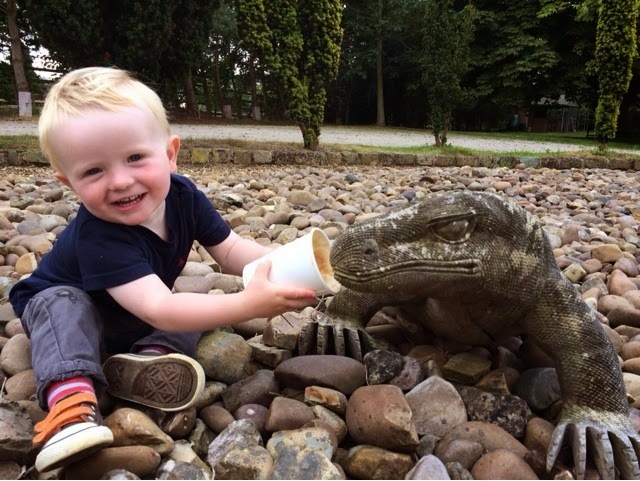 We do a fantastic line in Lord's and Komodo dragons too! 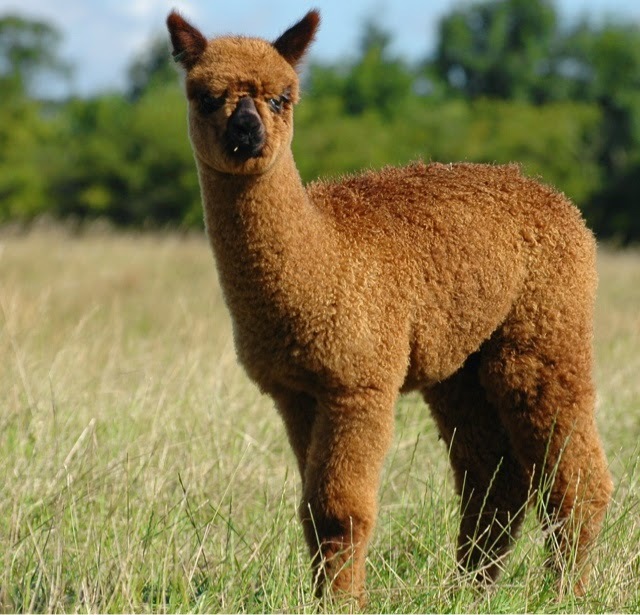 Toft Alpaca fleece stats for 2014 make happy reading. 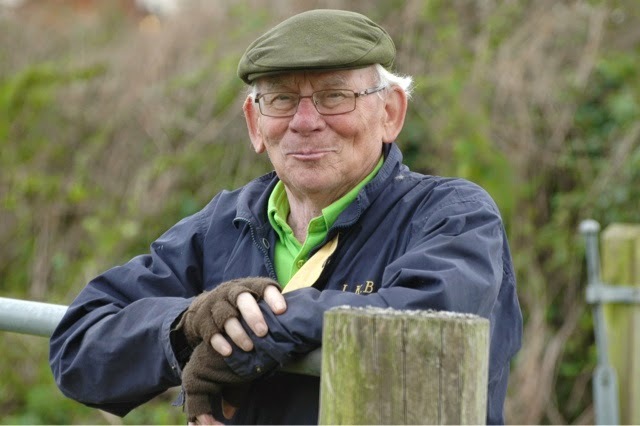 All good news on the return of the 2014 fleece stats which cheer me up no end as the summer fades on another fantastic season and autumn makes its presence felt. 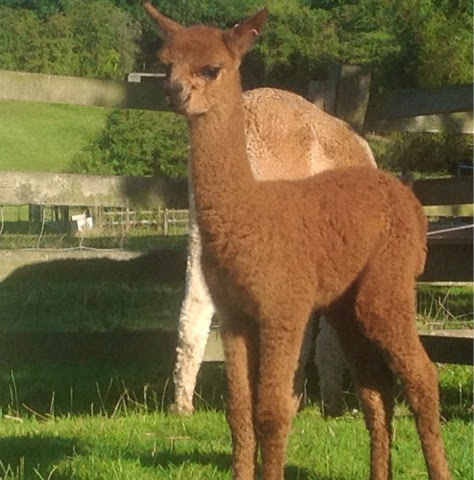 Every year we test every breeding alpaca, and all thejunior and intermediates both male and female at Yocom McColl testing labaratories in the USA.We have done so for almost ten years now and although it takes a month or two for the results to arrive it provides a vital benchmark to monitor our progress. 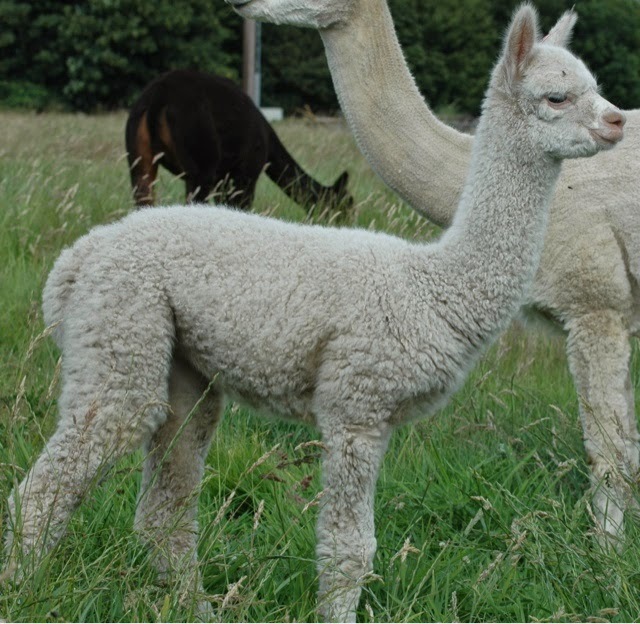 The finest Toft alpaca on the farm actually belongs to one of our clients Snapdragon Alpacas. Congratulations to Liz and. 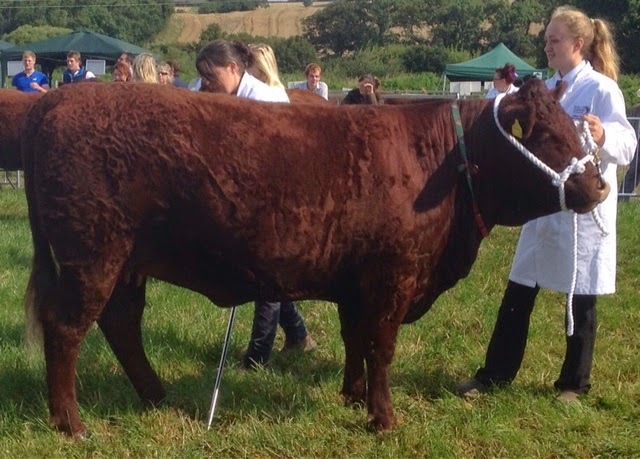 Terry Davies whose Toft Bootes, a champion light female in the BAS Nationals in 2014, returned an amazing result of 13.4 microns. 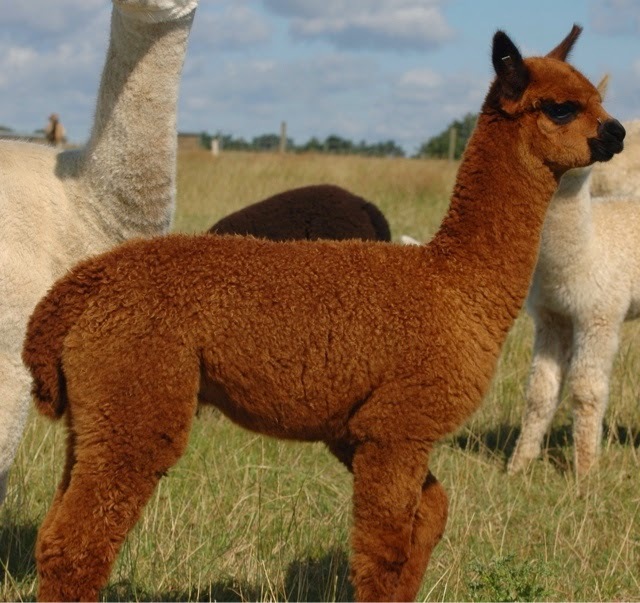 The average micron for the whole breeding herd is 23.3 Microns. 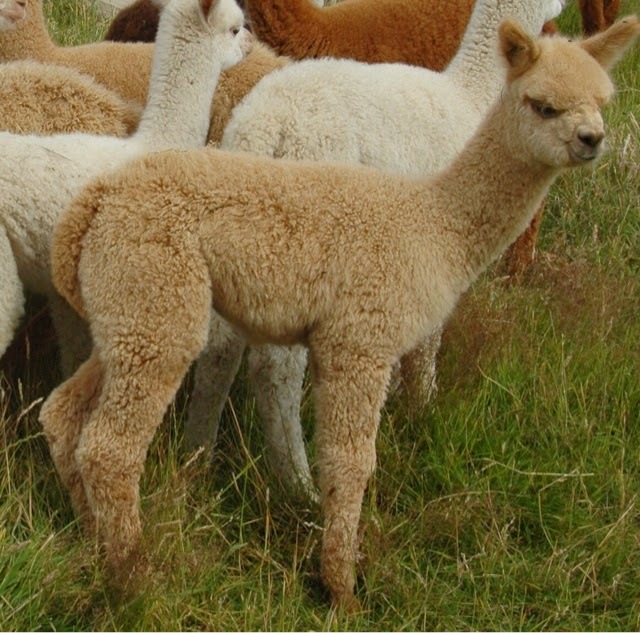 The average micron for the breeding herd minus the junior breeding stock is 24.8. 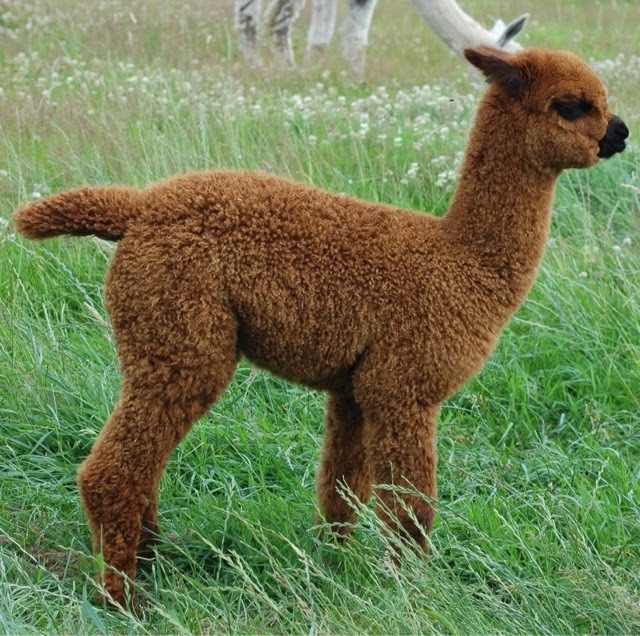 The average micron for the 2013 offspring is 18.58 with only one of them over 20. 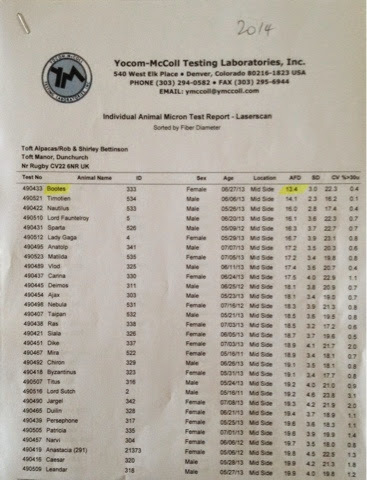 The average micron for the 2012 breeders is 19.3. Always room for improvement but in reality we will be happy if we can maintain these results year on year whilst developing the improved stock to maintain their fineness for as long as possible. 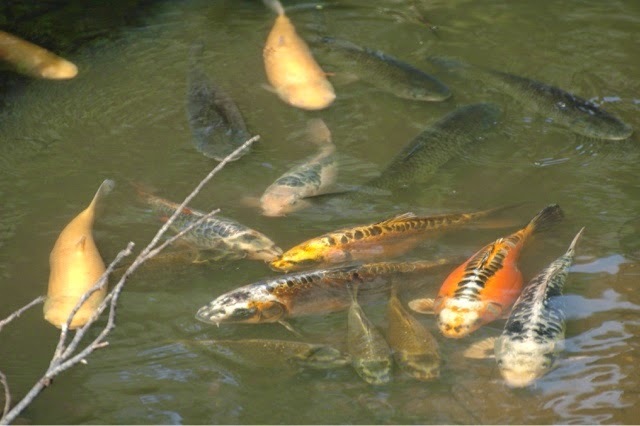 It's good to know as we reach the third and fourth generation of selection that the. 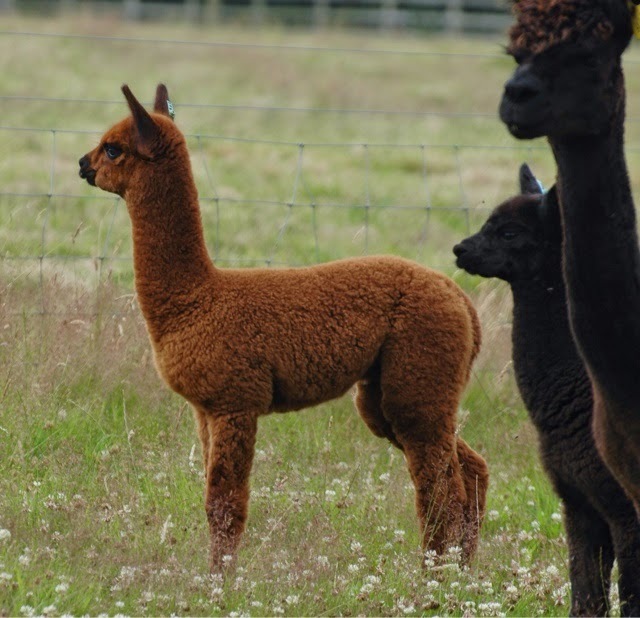 Toft Herd is improving in quality throughout year on year with the young elite alpaca stock taking us to places we could only dream of when we set out in 1997. Congratulations to all the Toft Team for a great set of stats! 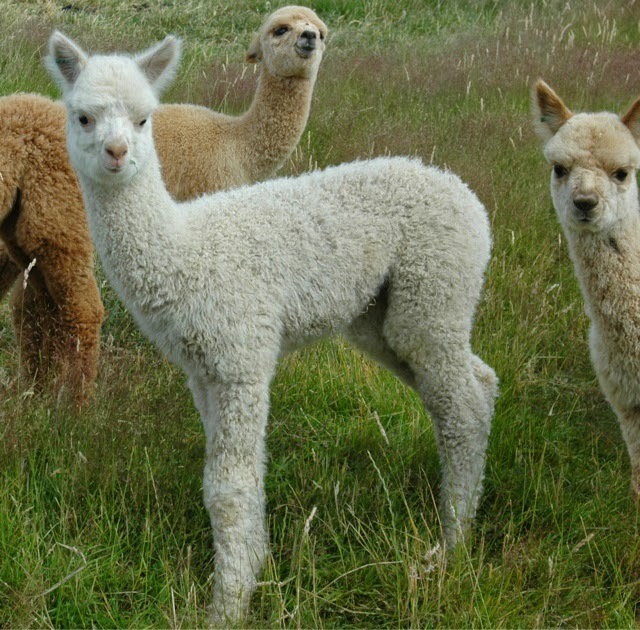 If next year we can improve the handwriting so we get the alpacas names spelt correctly it would be appreciated...slexos rule ok! The fleece fairy is at it again. 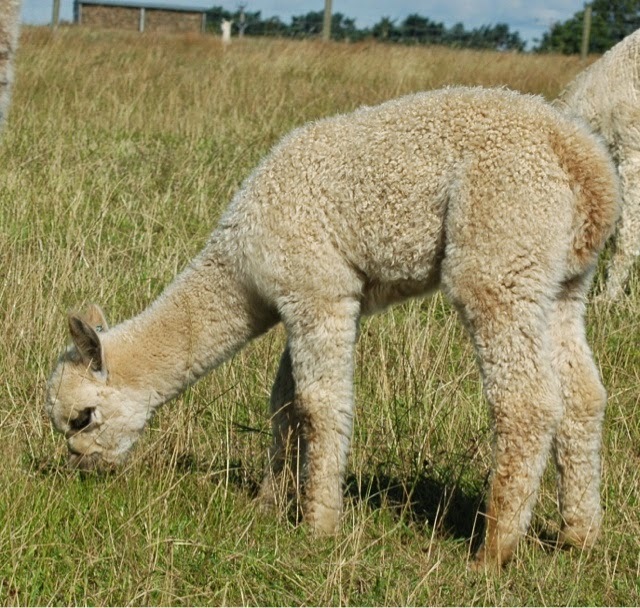 Kerrry is busy sorting alpaca fleece for the mill again. 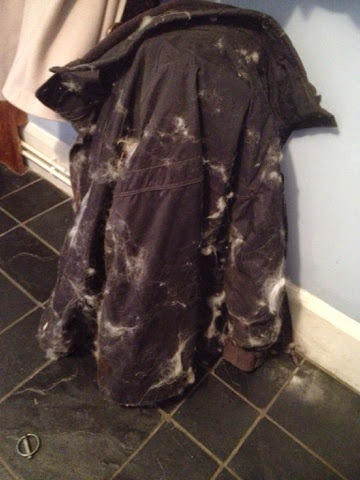 Unfortunately for me it looks like my ski jacket went west at the same time. Will it ever recover? I doubt it. Will. I ever ski again? Unlikely. 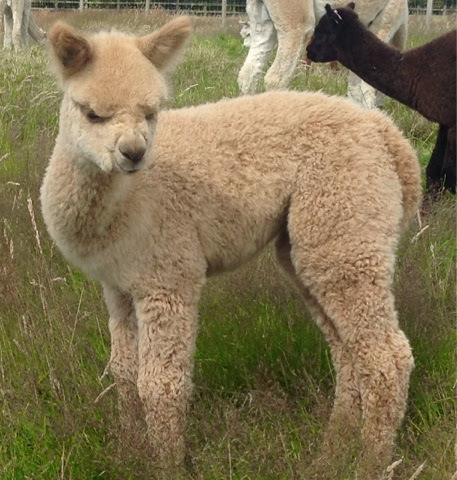 Looks like I've made another wardrobe donation to the Toft Alpaca Shop. These young boys are doing some serious fence time on the off chance that a young maiden or a 'cougar' may come knocking on the door. At just over two years of age they are not that fussy as long as she is willing. 'Twas ever thus! Pretty clear they are obviously maturing fast and taking an interest. 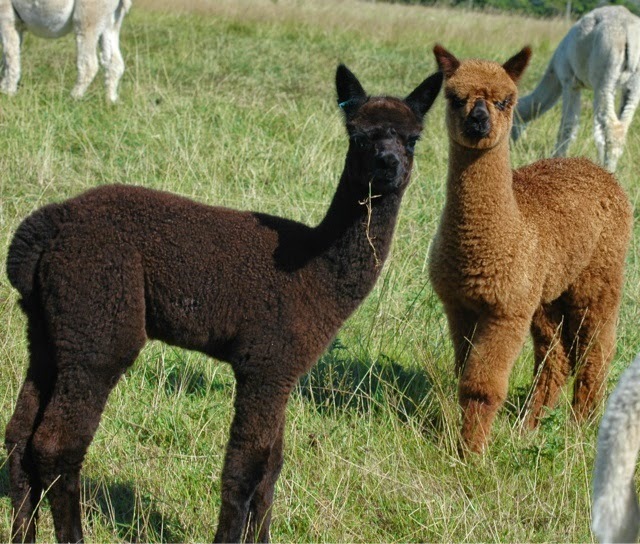 These elite prizewinning stud males will soon be appearing on the for sales pages of our website now their fleece stats are back from the laboratories. And they make great reading, watch this space! Will you look at what's in our back garden, the day!!!!!! 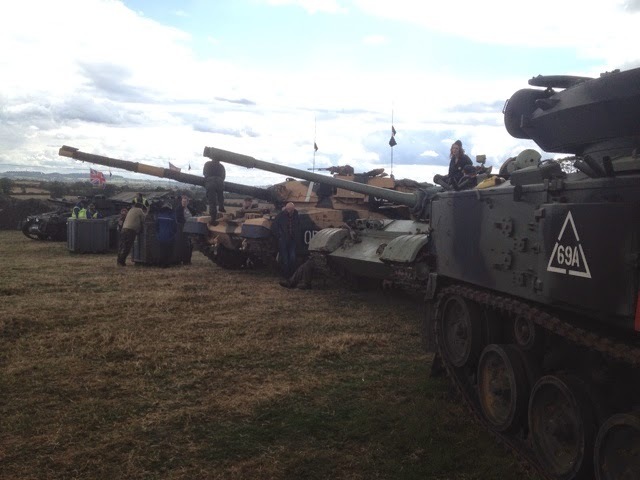 Tanks Trucks and firepower enthusiasts are camping out on my neighbours property in their hundreds this weekend. 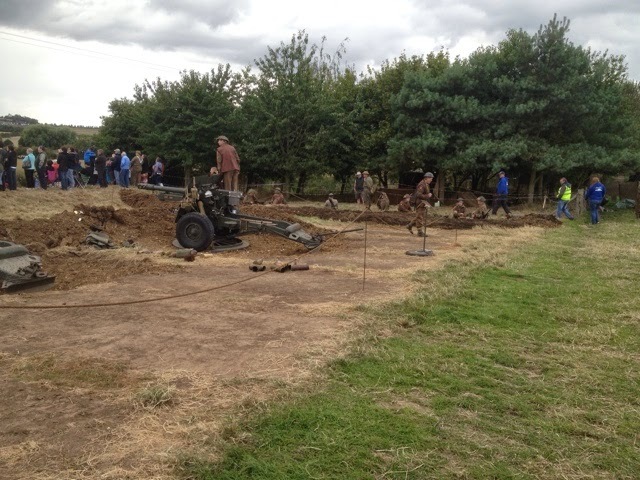 Some are dug into the ground and living like its WW 2. 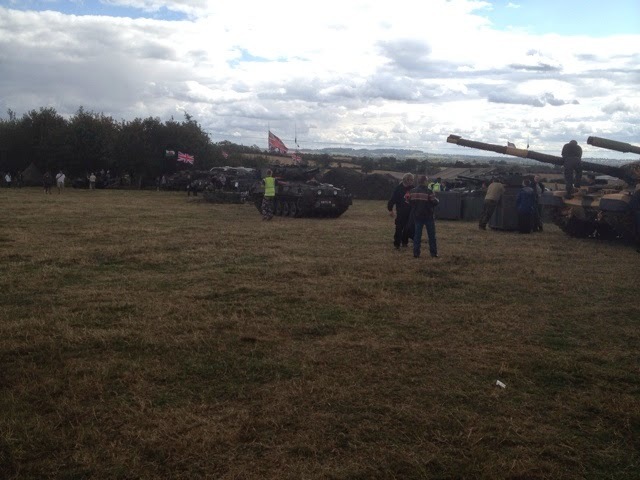 Others are driving round, stroking old metal and talking tanks and trucks forever. Disco last night, fireworks and rock band tonight. All in all a joyous weekend of whizz bangs and celebration for the fans of camouflage. This is what made this country great, methinks. 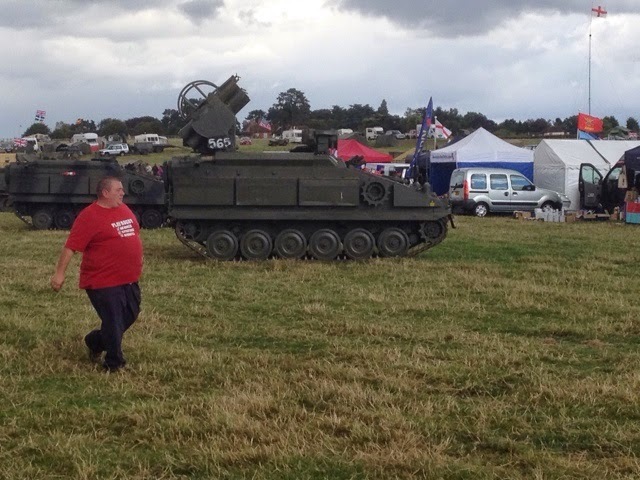 No, not the firepower fetishists but the great English eccentrics. All this kit has got a home to go to. Somewhere there is shed of love for all this old army kit and in it a wee Englishman who's life is dedicated to tinkering and polishing to restore and renovate. The skills ...the skills we must have locked away in unassuming dedicated engineers with shed fulls of old machinery just covered in love. Get these people together and they could no doubt make a spaceship from an old Massey tractor and some sticky backed plastic. I might not share your obsession with your military avatar boys but I admire your eccentricity! Some might find it bizarre, and it is a little, but it's not a lot less weird than sitting by a river all day and sometimes half the night with stick and a hook on a bit of string chasing £6 worth of fish! Whatever drives your tank! 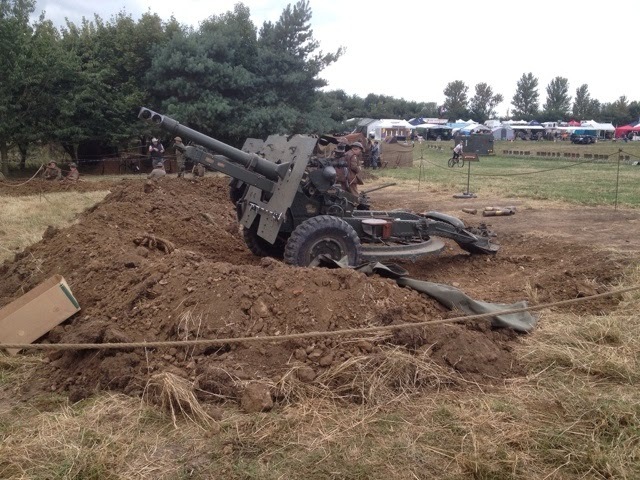 Have a great weekend one and all and keep the noise down, the chosen men quiver in their kennel everytime a shell goes off. 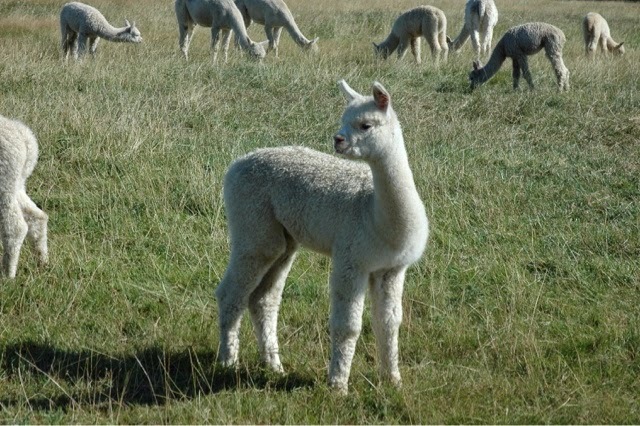 As we approach Autumn we are busy scanning all the mated girls for an estimate of next years crop of elite cria. 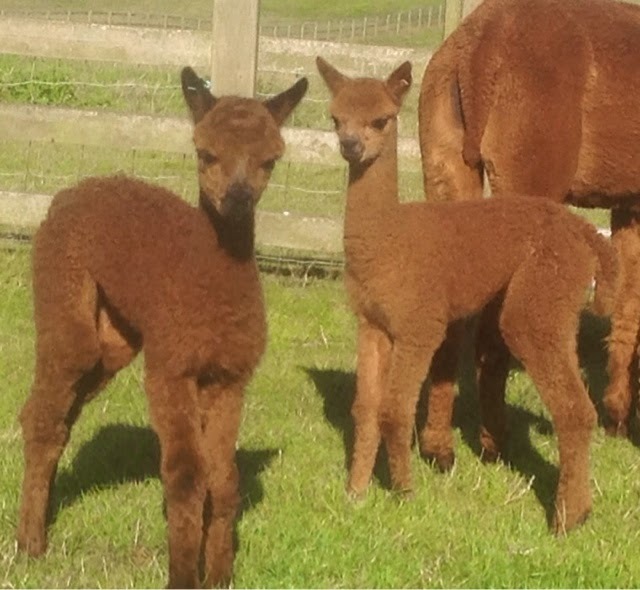 These former show girls have now given up winning rosettes in the glamour of the ring for maternal duties back on farm. These are all first timers daughters of Barrabinda Flinders Star, Toft Jaina and Lavender Park Tulley and form the elite centrepiece of the Toft Herd. They are now all pregnant for the first time and will settle down for the winter, chomping hay and grass and nurturing future Champions. Well one can only hope at this time of the year, next season will reveal whether our choices bear fruition. Hey, ho. It's a long old job but a gud un! 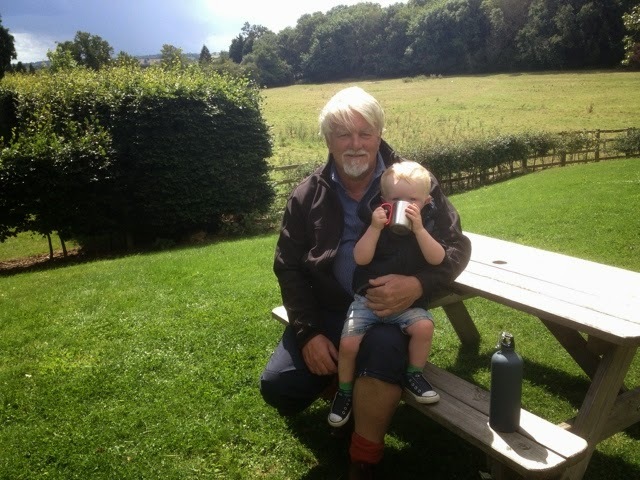 Had company this week in the form of me Dad, up for a week with me Mam to see their great grandchild and generally catch up. At 83 he can be excused. 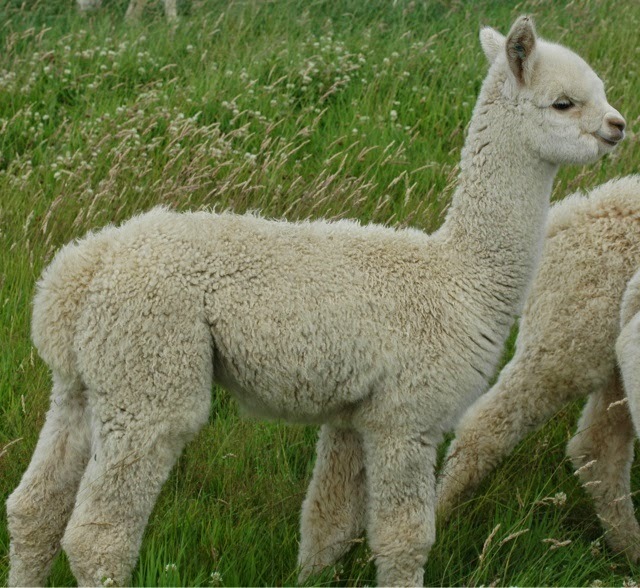 When we first started breeding alpacas in 1997 he thought they were a breed of dog. 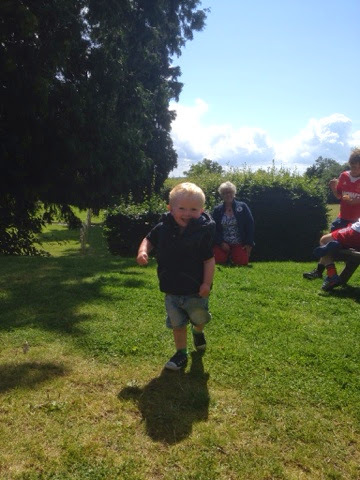 He's learnt a bit since then but mostly they just make him grin! 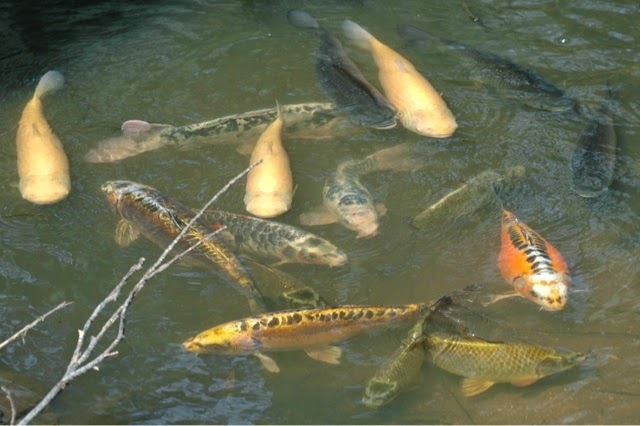 The fish are a star attraction for all those visitors to the Toft Alpaca Shop and the Cornflower Cafe. 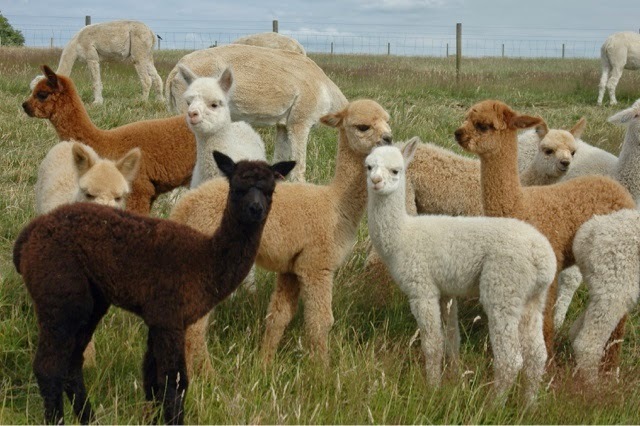 Like the alpacas, endless time can be spent in admiration. 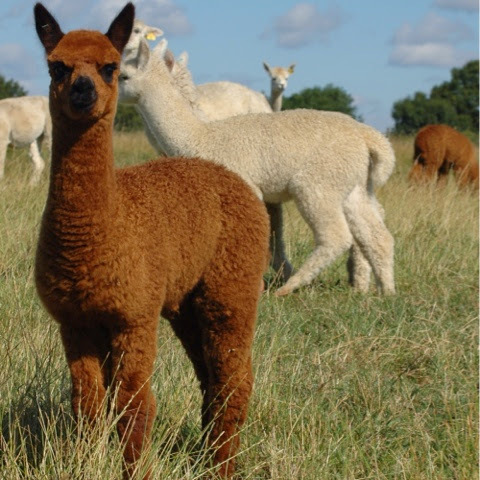 With 22 categorised colours and every shade in between the alpaca offers a pallete of natural colour that is truly unique. 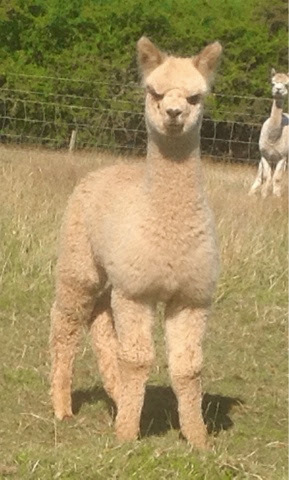 This stunning Lavender Park Tulley female has been bottle fed since birth. 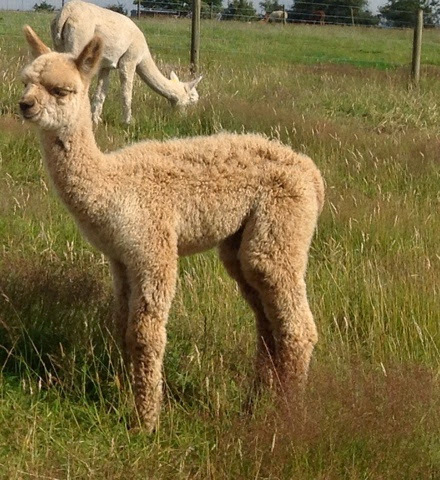 For some reason she rejected her Mom at birth and although her mother stood over her offering the milk bar for weeks she wouldn't have a drop of it. 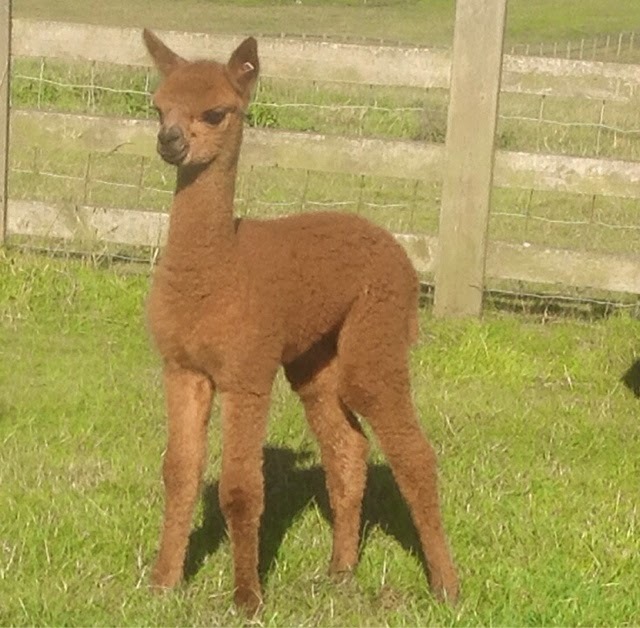 It's the first time this has ever happened to us in 17 years of alpaca breeding. 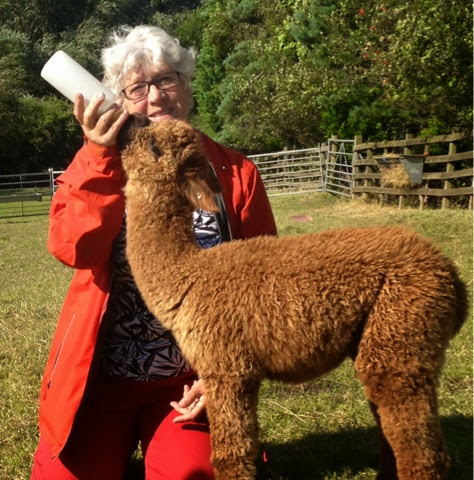 Thankfully we are now reducing the frequency of the feeds and starting to wean her onto hard feed which will be a relief for Shirley who has taken on the brunt of the workload with help from her Mother Myra, the interns in the Toft Alpaca Shop and any passers by who ask to lend a hand. 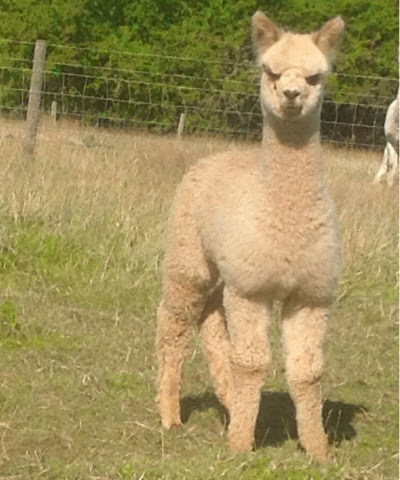 Another great alpaca distraction yesterday at Toft. We were approached by Legends who run a hockey camp for 150 6-14 year old boys and girls at Princethorpe College in Warwickshire. Our brief? 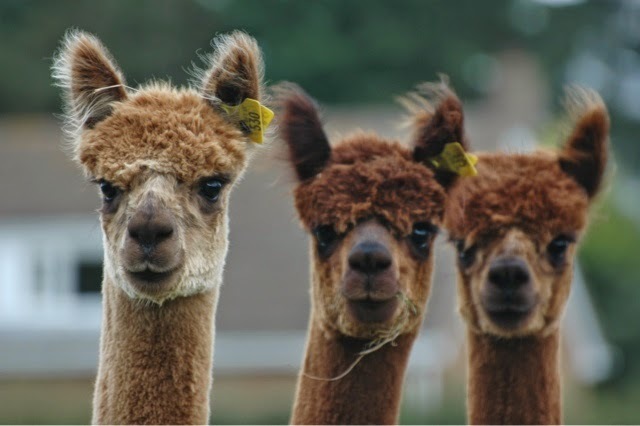 To rock up at lunchtime with four alpacas to surprise and amuse the campers. Young and Edward Lord, Ellie our work experience from Rugby School, Shirley and I duly obliged. We were mob handed because we were not sure what to expect. 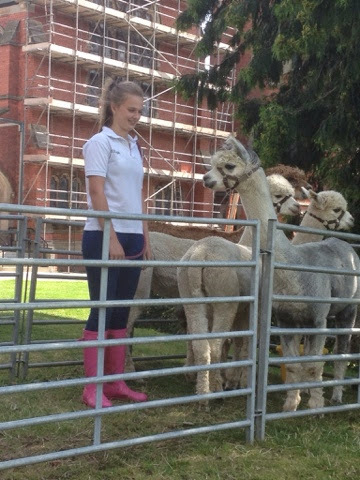 As it happens we penned them up outside of the refectory, droves of hungry young hockey players arrived at 1pm, lots of excitement, stroking and touching but lunch takes precedent for sportsmen and women. 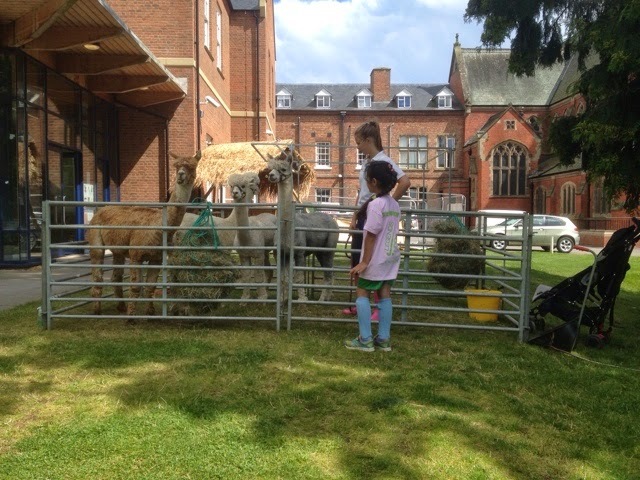 By 1.30pm it was all quiet save for the munching of the hungry hordes and Grandma and Grandad had a wonderful half hour playing with Edward on the lawns while Mille talked to the alpaca addicts. 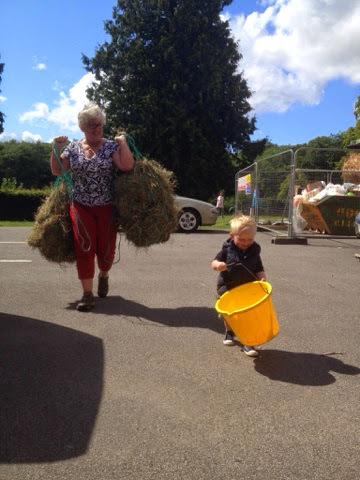 All done and dusted by 2.30pm, with lots of help from young Eddie and back home by three. And no one asked me to play.... Hey ho! A big Toft thanks to all those 'hockey legends' for their interest and we wish you a dry and happy rest of camp! 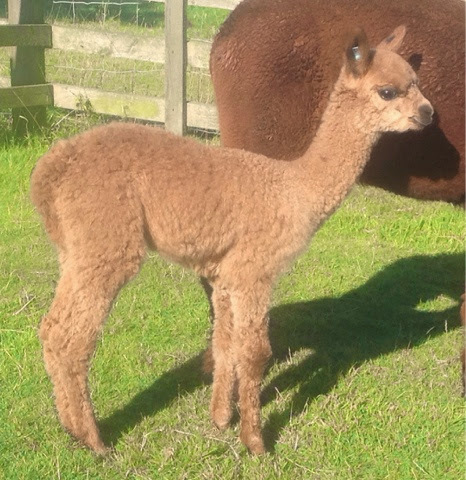 We started birthing in May and have about te yet to go in the next two weeks and the good stuff just keeps on coming. 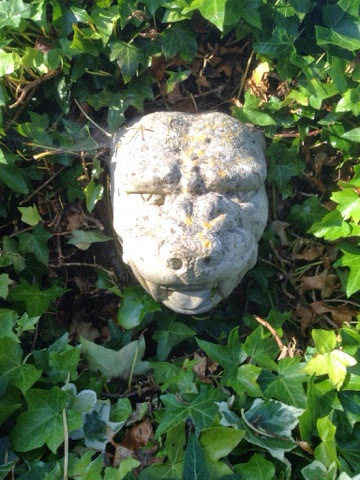 Dog in the Ivy....? I'd have a drink there myself ! Companion animal at the North Devon Show. 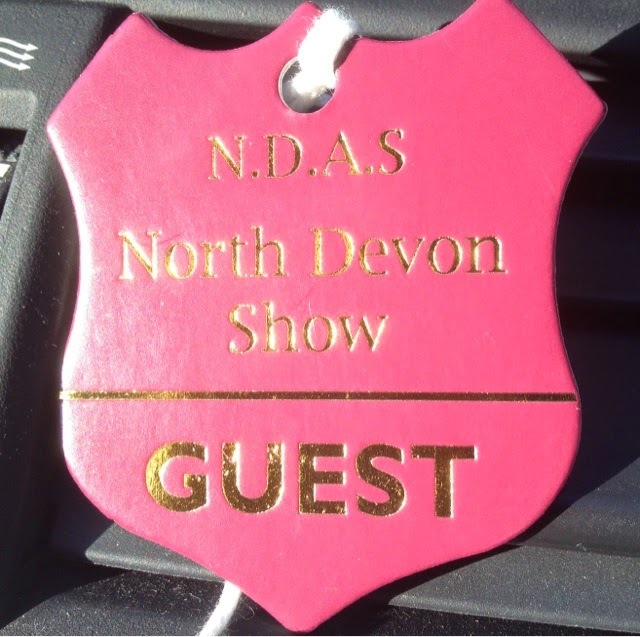 For Guest read Companion animal, as that has been my role over the past three days at the North Devon Show. Shirley plays the role of Companion Animal when I judge and it is only fitting for an equality campaigner like myself to reciprocate when the roles are reversed. 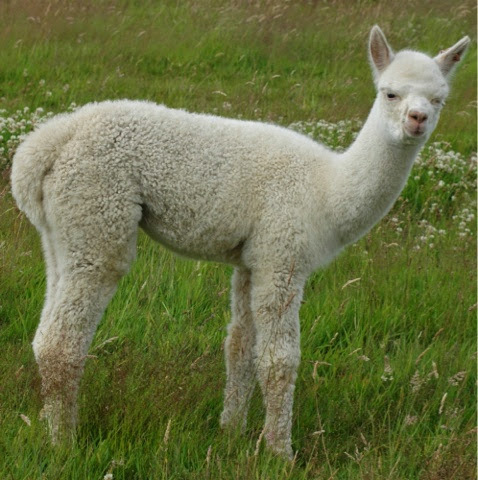 After ten years judging alpacas I'm not that experienced at being the companion animal. It's all new ground to me and as Shirley seems to be very much In demand this season I'm learning fast. 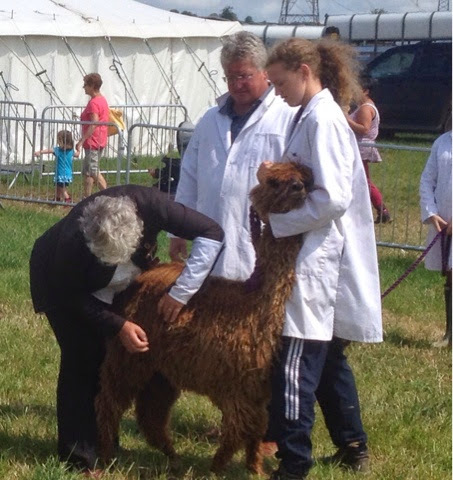 Shirley was judging the fleeces on Tuesday at Langaton Alpacas and today she judged the Halter classes at the North Devon Show in Umberleigh. What does the companion animal do? Well he drives the judge, feeds and waters the judge, totes the bags and keeps her entertained in the downtime. What does he not do? Question any decision, raise an eyebrow or do anything other than smile. Such is the recipe for a happy marriage says you- survival says me. 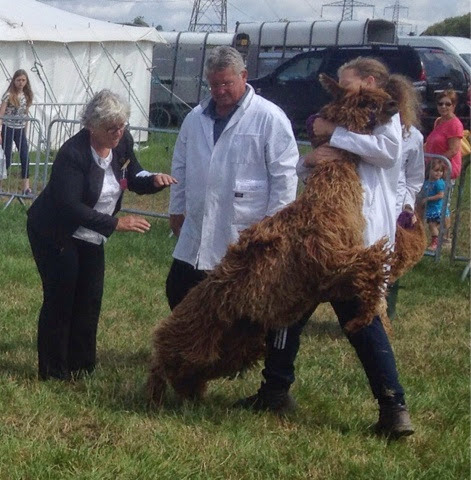 Then when the judge is running at full throttle in the ring the companion animal gets to sneak off down the cattle and sheep lines to watch a very different type of livestock judging. 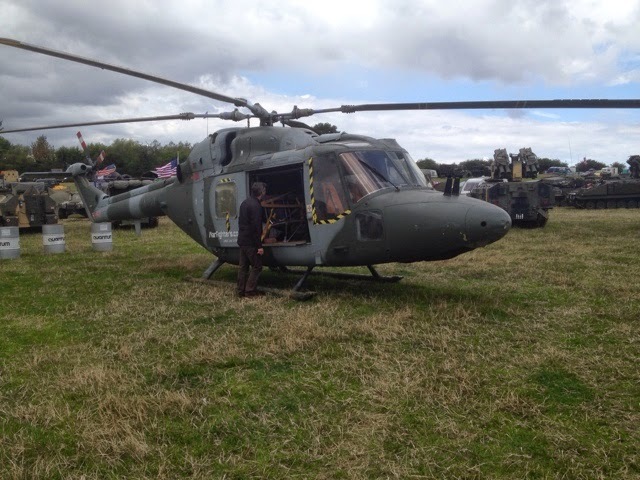 We had a great time at the show and at Langaton the day previous. 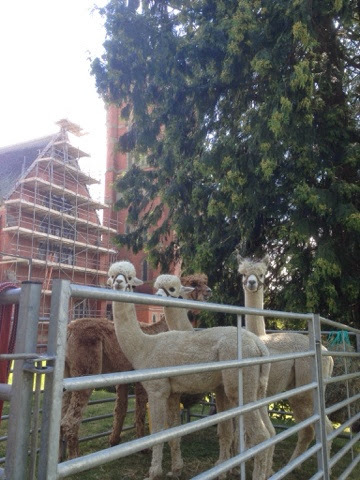 It was fab to catch up with the Waldrons again and a big thanks for the use of the Alpaca Schoolroom. 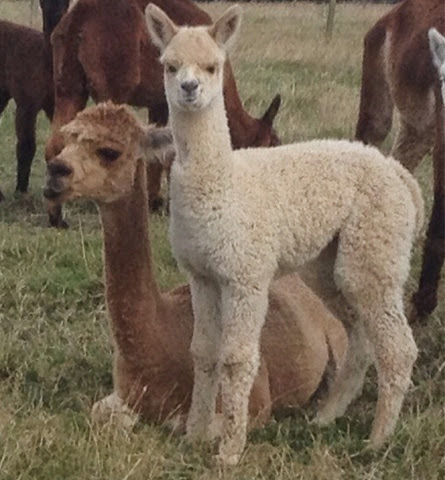 Thanks to Jean Field and Lorraine for their work organising the alpaca fleece judging. 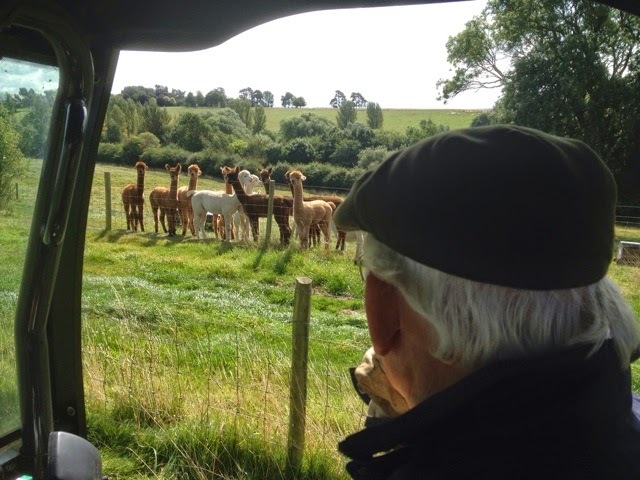 A big thanks to Garry Sanders of Popham Alpacas for his services as ring steward and to Sue for being secretary and of course to Peter Roisetter For organising the whole alpaca event at the North Devon Show. 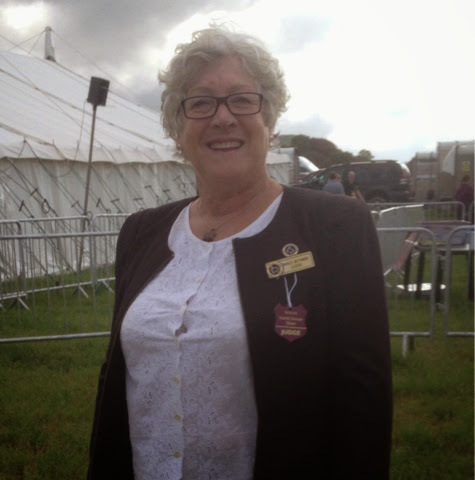 Shirley had it all done and dusted by 3pm in readiness for the Champions to participate in the Grand Parade in the main ring. 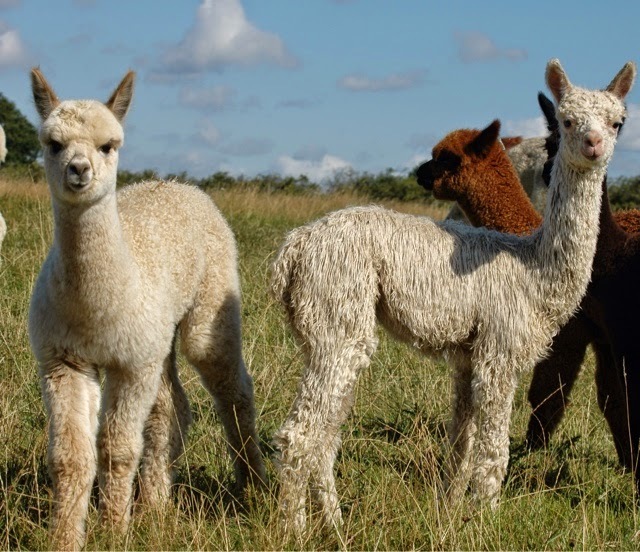 Popham alpacas will be celebrating tonight as they achieved an amazing double be taking the best in show in both Huacaya and Suri- congratulations!